Pine trees are fabulous and will grow to be different heights. Some can grow to be over eighty feet tall while others grow to be only a few feet tall. The various species of pines are limitless. In the scientific world, these are often called pinus. They bring lots of wildlife to an area such as squirrels and birds. There are a few that will produce pine cones after they have been established for several years and are healthy. Pine trees are fabulous and will grow to be different heights. Some can grow to be over eighty feet tall while others grow to be only a few feet tall. They bring lots of wildlife to an area such as squirrels and birds. There are a few that will produce pine cones after they have been established for several years and are healthy. They grow great in various soil conditions and full sunlight and partially shaded areas. 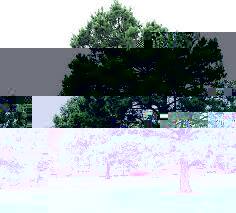 These trees also produce long pine needles, and some are short, and some will appear long. This will depend on what variety is chosen. These will be sure to show off all year long as they are coniferous and evergreen. Although typically, these will be a tree, some species are shrubs. However, this is rare. The bark of these are often thick and scaly, but this can also vary with the specific species. They can be expected to live anywhere from 100 years to 1,000 years in good health. There are four different types of leaves on a pine tree. These are seed leaves, juvenile leaves, scale leaves, and needles. Pine trees are roughly grouped depending on how fast they grow.. While slow-growing pine trees grow less than a foot annually, fast-growing pine trees grow more than two feet per year. Likewise, pine trees grow to different heights with some barely reaching four feet tall while others spiral to over 100 feet in height. One of the oldest pine trees is located in the Great Basin National Park. It stands more than 115 feet tall, and it is believed to be over 4,800 years old. Pine trees are a popular choice because of their hardiness making them an excellent choice as a wind barrier, privacy screen or to protect property. Most pine trees are adaptable to a variety of growing conditions. Many, however, prefer sandy well-drained soil that is slightly acidic with lots of suns. Winter cold and brutal heat will not harm most varieties of pine trees. There are many different types of pine trees. They are loved for their adaptability to be used as privacy fences and as windbreaks. Pine trees are among the most extended living trees known to man, and they require very little care. While pine trees are highly adaptable, most prefer full sun and well-drained soil. If you love the forest look then you'll love these pines. I know I did!